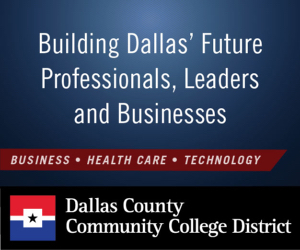 Under normal circumstances, the Dallas County Community College District partners with K-12, colleges, and universities, the business community, and other organizations to provide the resources our students need to succeed in the classroom or on the job. At other times, especially when the communities we serve are in need, we want to be one of many partners who help our co-workers, neighbors, and friends when they are coping with disaster. Why? Together, in Dallas County, we are all one community. We help each other on good days and bad. We support each other and rebuild lives. Following the December 26, 2015, storms and tornadoes that devastated communities in three North Texas counties, we began to develop a plan that would help residents and businesses rebuild. We also looked for ways to support our employees and students who suffered losses during the storms. 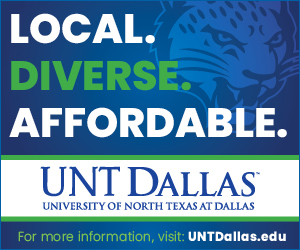 That’s why Eastfield College is taking a leadership role, with the support of our six other colleges, to offer residents and businesses in the Garland/Rowlett area several free seminars and training classes to start the rebuilding process after the destruction and disruption of those storms and tornadoes. The idea is to give people information that they can use to navigate the insurance maze they face after a natural disaster and to know how to work with FEMA. Our employees and partners in the community can share much-needed information to help move people down the path to recovery. That information also includes how to find and work with reputable contractors; how to do repairs themselves; and how to avoid scams offered by unscrupulous individuals. We also are offering training courses to provide people with skills they need to fill jobs that will be generated. We’re also providing services for businesses that need to rebuild, too. We are one community. We are partners in recovery. We are proud to help and lend a hand when and where it’s needed most. Members of the DCCCD Board of Trustees passed a resolution in January, proposed by DCCCD Chancellor Joe May, which enabled us to set aside an initial outlay of $250,000 to help people affected by the storms by providing those free programs. The resolution also allows reappraisal of the storm-affected area in Dallas County so that property owners are not assessed with a value higher than their new property value. With the support of Dallas County and cities in our community, we want to help residents make informed choices as consumers. We want businesses to rebuild so that they can support the area’s economic recovery following the disaster. We also want to send our condolences to families who have lost loved ones and who are grappling with many challenges simultaneously. Go here for information and updates.